On 29th September 1856 The "Spanisch Brötli Train" started for its first journey from Zurich via Baden (1847) to Brugg. 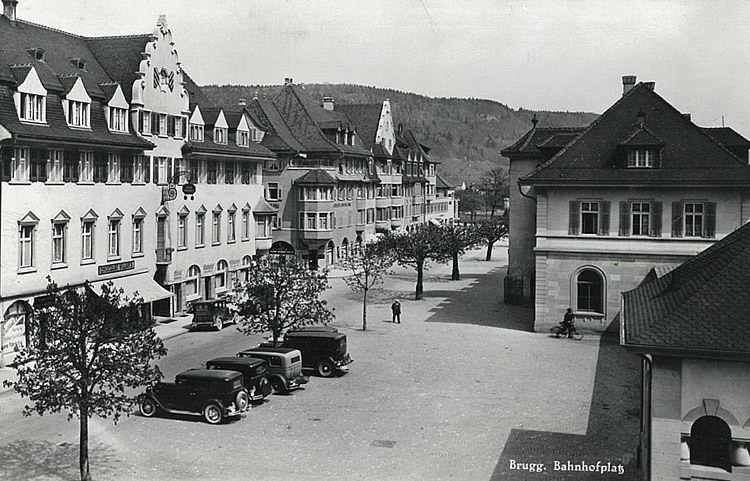 Shortly after this event a branch of the family Lang moved from rural Oftringen to Brugg. The new transport exerted a magical attraction for my great-great-grandfather Samuel Lang. 1847 The first railway goes from Baden to Zurich, called "Spanischbrötlibahn". 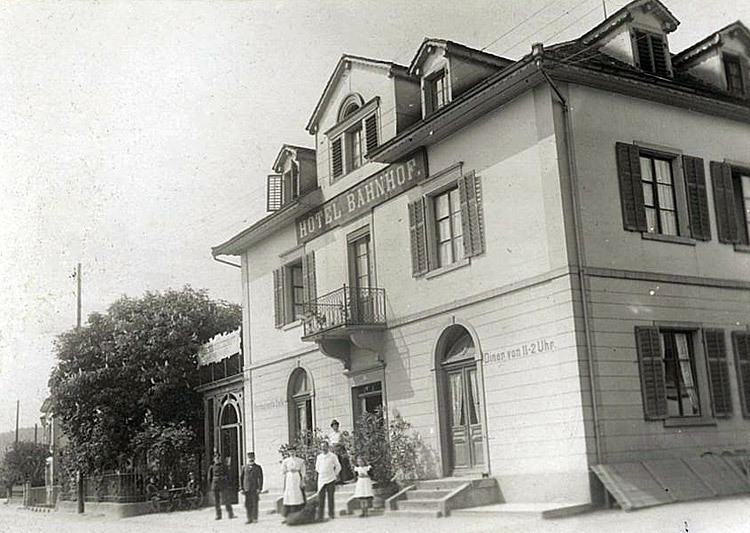 In 1872 he was promoted station-master of the railway station Brugg. In those days work on a railway station wasn't as hectic as it is today. 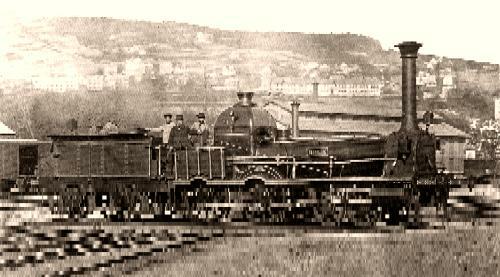 So Samuel Lang had enough time to act as a district judge as well as to help with the planning of the then single-track operated Bözbergtrain as station inspector (the Bözbergtrain was opened in 1875). Another great passion of his was the activity as a host. 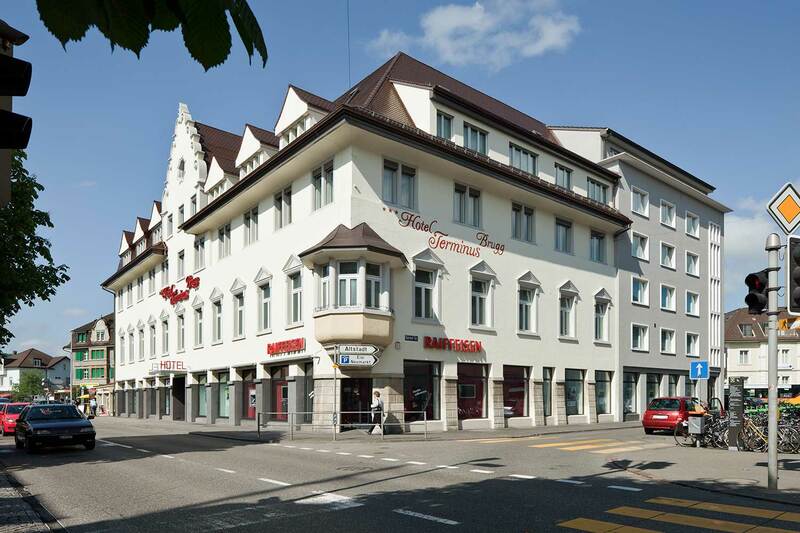 On 15th August 1895 Samuel Lang bought the guesthouse opposite the train station in Brugg. Nearly two years later, 5th April 1897, he sold it to his son Emil. That's how a dynasty of railroaders and hosts started. The actual hour of birth of the "Terminus Model Railways in Brugg" was on 15th September 1924, when Fritz Lang got married. As if Elsi, his wife, had foreseen it she brought a still roadworthy, clockwork powered tinny Märklin-Railway from the parental business into the marriage. In was built in gauge 1 (track size 45mm), scale 1:32. 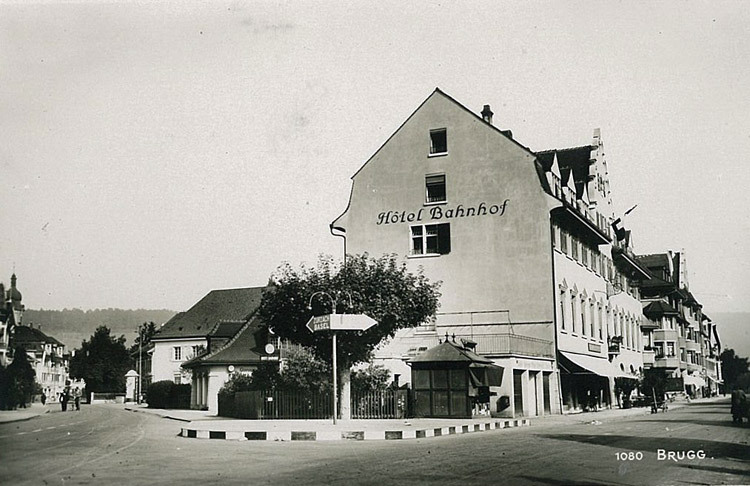 Beginning in 1926 Fritz Lang (3rd generation in Brugg) built a stationary model railway in the attic of the hotel. 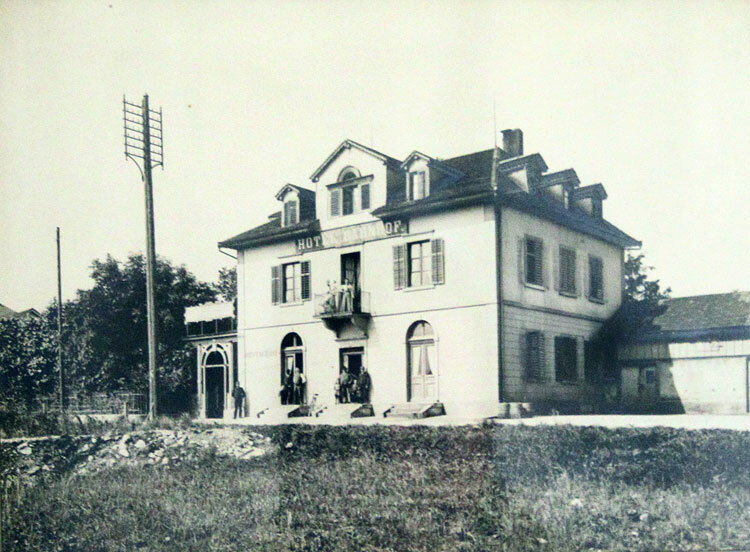 After the hotel extension in 1956 my father Friedrich Lang (4th generation of hoteliers in Brugg) built a new model railway in the attic with tracks and points made by himself in gauge 1. 50 years after the establishment of the "Terminus Railway" in Brugg, on 21st December 1974, we started with the second track size. It was track 0 (zero), 1:45 scale with a gauge exactness of 32mm. That was the year when this old tinny inaccurate 'toy railway' became a real model railway. Now it was most important to have an accurate copy of a railway in a given scale. And so the wagons moved buffer to buffer connected with model couplings. Because the old staff rooms in the hotel attic weren't used anymore there were now 300m2 available for the model railway. Our family was happy to lay 700 metres of railway tracks in gauge 1 and 0. Just the new course in gauge 1 was 133 metres long, the course in gauge 0 was 185 metres long! The attic was big enough for the trains to be moved without getting into each other's way. Due to the width and the topography of the room which is directly under the roof the minimum radius of each track size was set to 185 cm. The maximum gradient is less than 2%. The subject of our railway system is: Standard gauge railways from the beginning around 1835 to the present. The model trains are our main players in the system - there is still little landscape to see. It is not built yet due to lack of time - we are only a small family business and not an association! The trains are put together according to epochs and highly detailed. They are operated by low voltage direct current as well as by alternating current. As it is not possible to insulate the 100 years old tin-plate trains on a 2-rail track, they run with a centre conductor (three wire track). For 0 gauge we use a 2-rail track. I would give all my symphonies if I could have invented the locomotive. I could sit at home for years and be happy. If only the trainstations would not be.